The East Sussex WW1 Project has now come to an end and, as a result, the content of the website has been archived. The newspapers are currently accessible but if you have issues in accessing them at any point in the future, please contact The Keep Archives who hold microfilm copies of the newspapers and the digitised versions. As part of our project to commemorate the centenary of the First World War, we have digitised a variety of historic newspapers from across East Sussex. Between them, these newspapers cover the period of 1914-1919 and allow us to view how life on the south coast proceeded whilst war raged across the Channel. These newspapers are the culmination of a hugely ambitious digitisation programme by the East Sussex First World War Project. Such an undertaking is normally reserved for organisations and institutions such as the British Library, the National Newspaper Archive, and the National Library of Wales. 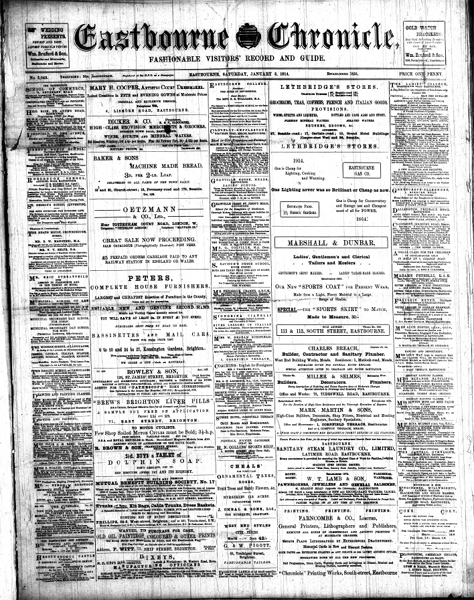 As a result we are the first organisation of our kind to offer such a large and varied collection of newspapers online. The published newspapers currently cover the time span up to the end of June 1915. Every month, we will release new editions so that you will be able to follow the war in ‘real time’ 100 years after the newspapers were first published. There were far more newspapers being published during the early part of the twentieth century than we have today but, during the war, they were also heavily censored by military authorities to prevent the publication of restricted information. As a result of this, and also because of the distances involved in covering the war, some events are reported in newspapers following a two or three week delay. However, over that intervening period you can begin to see hints and rumours that form into reported fact. As the war continued, newspapers routinely published news of local men in service as they trained and were deployed overseas. They would also report on those men who were wounded or killed. On the homefront, they would publish calls for food and clothing for men at the front. There would also be appeals to take in refugees from France and Belgium. Beyond this, the general everyday life in East Sussex had to continue and you can see how this transpired within the pages of these newspapers whilst the war lurked forever in the background. If you find any interesting or exciting stories then please contact us with the newspaper name and edition. Historic newspapers are a fantastic resource for examining the past, particularly during wartime. 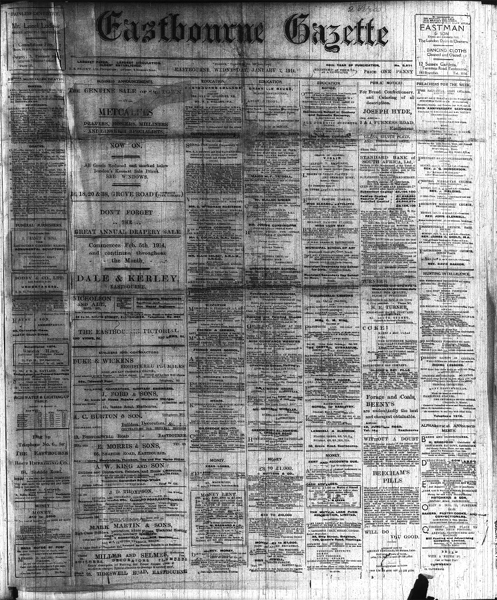 To begin exploring the world of East Sussex 100 years ago, simply click on the image of a newspaper below. 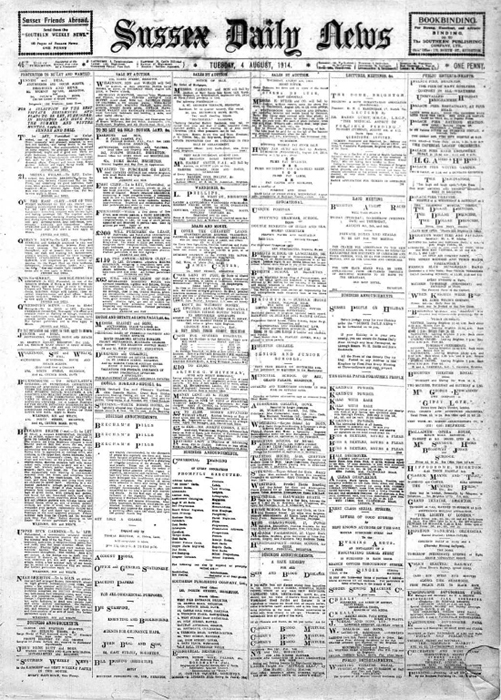 The Eastbourne Chronicle was first published in 1856. During the First World War period it was a weekly paper, published every Saturday. It is still in print today under the name Eastbourne Herald and it is published every Friday. 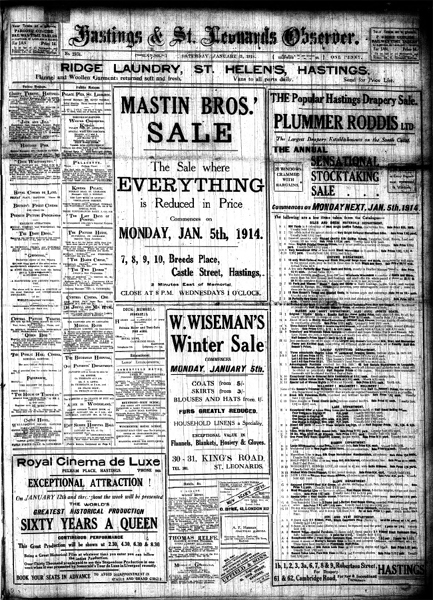 We have digitised every edition of this newspaper from 3 January 1914 to 28 December 1918. The Hastings & St Leonards Observer, commonly referred to as just the Hastings Observer was first published in 1859. During the First World War period it was a weekly paper, published every Saturday. It is still in print today and is published every Friday. 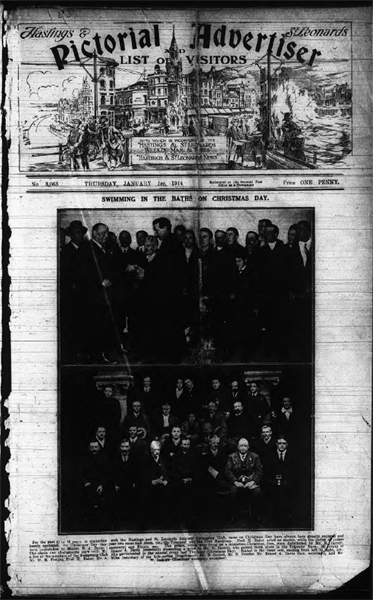 We have digitised every edition of this newspaper from 3 January 1914 to 27 December 1919. The Hastings & St Leonards Pictorial Advertiser, sometimes referred to as just the Hastings & St Leonards Advertiser was published from at least the 1860s. During the First World War period it was a weekly paper, publishing every Thursday. It is no longer in print today. We have digitised every edition of this newspaper from 1 January 1914 to 14 March 1918.